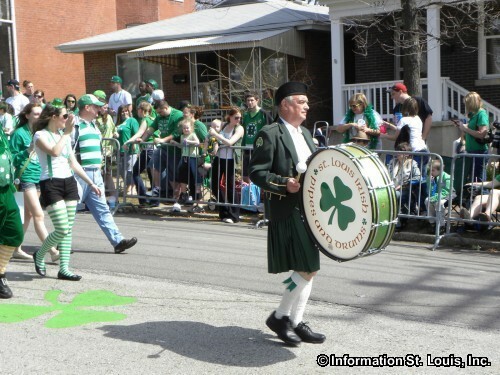 The annual St. Patrick's Day Parade held in Dogtown is said to be the "official" St. Patrick's Day Parade in St. Louis because it is always held on March 17th. It's held in the traditional St. Louis Irish neighborhood of Dogtown and the parade is put on by the Ancient Order of Hibernians. The parade starts at a new time this year: 11am. The parade route is still the same and runs south along Tamm Avenue, between Oakland and Manchester. See website for more information about all the festivities. The Annual St. Patrick's Day Parade in Dogtown has been put on by the Ancient Order of Hibernians since 1984. It happens every year on St. Patrick's Day, March 17th. The parade route begins at Tamm and Oakland and runs south, ending at Tamm and Manchester. Directions: Tamm Avenue can be reached by Manchester Road, Clayton Avenue or Oakland Avenue.